Meet Azuon! Personal and professional tool that searches for flights directly from a variety of airports in any given period and finds the lowest possible tariffs. Compare Deals-cost airlines to find the cheapest routes. Or just let Azuonu offer fly to where it hot! 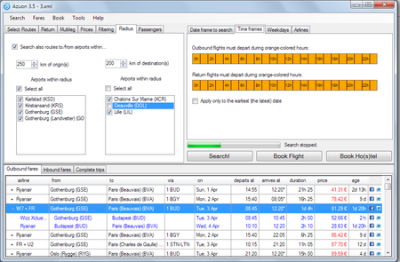 -Look for flights directly from many points within a certain period, and combine flights found. -Determine the amount and time stops, filter results by week See price history, set a budget for your trip, and more! -Have you ever wondered how to find good travel agencies flight options? The answer - at your fingertips. Azuon looking for low cost airlines combination and helps to find the cheapest. First, he shows not the most popular, but the best options, for example, the route with transfers Malta - Oslo - Riga, and then a standard, but more expensive route Malta - Rome - Riga. -Searching for flights from Stavanger to Monastir? Look for departures from any airport in southern Norway in any - in Tunisia. Point of origin and destination can be anything: select city, country, continent, the world, or create their own sets of airports! Let us surprise you and show great deals to places you only dreamed of visiting. Forum Saati: 08:53 AM. Zaman dilimi GMT +2 olarak ayarlanmıştır.